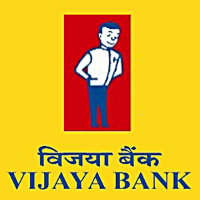 Vijaya Bank Recruitment Notification 2018.Vijaya Bank inviting applications for the positions of Probationary Assistant Managers.Interested and Eligible candidates can apply for the positions. Last Date for Submission of Application is on September 27th, 2018..
Degree/ MBA/PGDM/Chartered accountant/ICWA candidates can apply for this post. Minimum age for candidates is 21 years, maximum age for aspirants is 30 years. A monthly stipend of Rs.15,000/- will be offered to selected candidates. Mode of applying for Vijaya Bank Probationary Assistant Managers Recruitment 2018 is through online mode. 27th September 2018 is the last date to apply. http://ibps.sifyitest.com/vijayocsep18/ is the link to apply directly.